We are excited to share a new track with all of you. You can pre-save it now on Spotify or pre-order anywhere else. Enjoy and have a great weekend everybody!! Curious about what happens between albums? Here is a look into our demo process. These are some of the many songs that never made it onto the album; now available as free downloads. Enjoy! I am so excited to announce the release of my book and album. It is a very personal project where I am paying tribute to the late Danish poet, Holger Drachmann. The idea behind this project was to write contemporary music to a handful of Drachmann poems from the late 1800s. The music was written during my stay at the artist refuge Klitgaarden in Skagen, Denmark. Following my stay, I recorded all the piano parts and part of the vocals in Drachmann’s house, so the piano that is being heard on the album is Drachmann’s own piano. A majority of the poems were too long to use in the songs, so I chose the parts of the poems that spoke to me the most. These parts I decided to translate to English, as to reach a broader audience. In translating the poems, I wanted to avoid any interpretation, as I believe the poems are best left to be interpreted by the individual reader, so for the most part, the English poems are translated word for word, when appropriate. Following the English translations, I have included the full Danish versions of all the poems, should the reader be as fascinated with Drachmann’s writing, as I am. The point of this project is to build a bridge between the old and the new, by mixing cultural heritage with modern elements. Just 2 weeks from release date!! You can pre-order your copy now. The first 100 albums will be numbered and signed and will also include handwritten lyrics for 1 song! This will be helpful to everybody who can’t understand what we are singing! A decade after the original release of their debut EP, Kick in Your Heart, the Danish/American duo GLISS is reissuing this definitive album as a special 10 year anniversary edition, re-mastered and including 3 bonus tracks. The (now) 10 song album reissue is a precursor to the upcoming 5th full length album, Pale Reflections, which is set to be released June 26 2015 on their own Kraftwööd label. 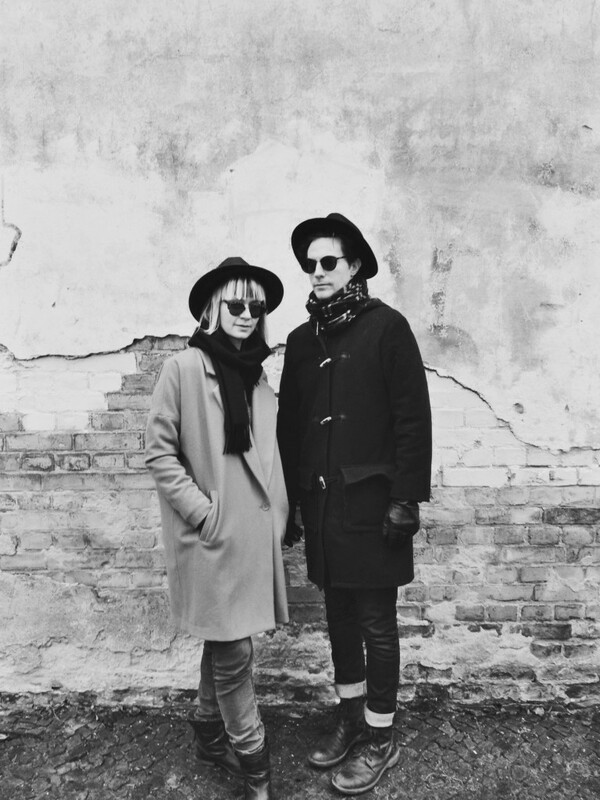 Gliss, who have been dividing their time between Berlin, Los Angeles, and Copenhagen, is comprised of multi instrumentalists Martin Klingman and Victoria Cecilia. Their music reflects city night life, with a dark and edgy sound, while keeping a solid pop structure. In 2014 Gliss had the honor of performing for the royal family of Denmark at El Plaza in Mexico City with The Raveonettes. Gliss has also toured with The Horrors, Editors, Black Rebel Motorcycle Club, and The Smashing Pumpkins. Available on Bandcamp and iTunes.